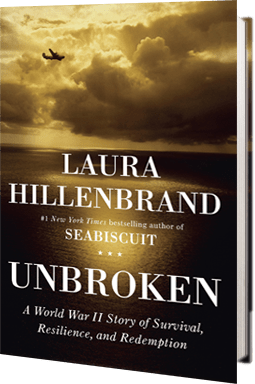 I started reading the bio Unbroken: A World War II Story of Survival, Resilience, and Redemption by Laura Hillenbrand. It is the inspiring biography of world class miler and WWII hero, Louis Zamperini. I am only on chapter three but the story is very riveting. I highly recommend this book!